The Inspired Vegan will help you in creating satisfying meals that use whole, fresh, seasonal ingredients and are full of surprising, mouthwatering flavor combinations. 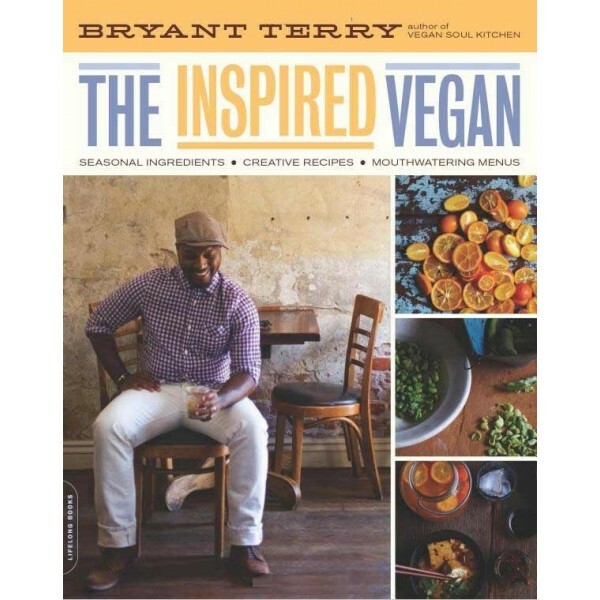 From the author of Vegan Soul Kitchen: ingredients that inspire, unique recipes, and menus for everyday feasts. 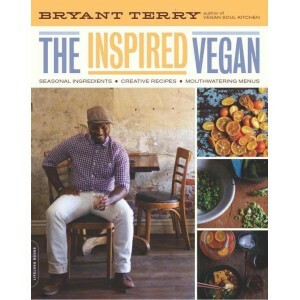 Marking his 10-year anniversary working to create a healthy, just, and sustainable food system, Bryant Terry offers more than just a collection of recipes. In the spirit of jazz jam sessions and hip hop ciphers, The Inspired Vegan presents a collage of food, storytelling, music, and art. Bryant shares his favorite preparation / cooking techniques and simple recipes-basics to help strengthen your foundation for home cooking and equip you with tools for culinary improvisation and kitchen creativity. He also invites you to his table to enjoy seasonal menus inspired by family memories, social movements, unsung radical heroes, and visions for the future. Ultimately, The Inspired Vegan will help you become proficient in creating satisfying meals that use whole, fresh, seasonal ingredients and are nutritionally balanced-and full of surprising, mouthwatering flavor combinations.